Home · Orthotic Solutions, Inc. 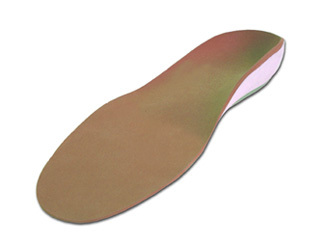 Here at Orthotic Solutions we provide custom-designed orthotic insoles that are individually measured, crafted by hand and designed to fit the unique characteristics of your feet. We are also certified to fill your doctor’s prescription. Our prescription orthotics are crafted for you and no one else. They match the contours of your feet precisely and are designed for the way you move. Our orthotics are crafted after our pedorthist has conducted a full evaluation of your feet, ankles, and legs, so the form can accommodate your unique foot structure and pathology. If you have serious pain or discomfort, we will evaluate your foot's posture and look for any contributing factors. Orthotics are used for a host of problems, including bunions, hammertoes, neuromas, plantar fasciitis, limb length discrepancy, irritation to growth plates in children’s feet, tendonitis, shin splints and tight heel cords, to name a few. They are also used post operatively to help decrease the likelihood of recurrence of foot problems which were originally caused by poor biomechanics. Our custom-made orthotics are made with a unique casting technique we've developed which is performed after a thorough bio-mechanical evaluation. This study includes a range of motion study of the entire lower extremity and a gait analysis. We will then capture a three-dimensional imprint of each foot. Those castings, as well as any measurements obtained by us are used to create a set of unique orthotics that will improve your foot movement and lead to more comfort and mobility. Learn more about our process. …Spencer won me over in his zero pressure consultation, knowledge, and clear care for his customers and craft. He created the foot support I didn't realize I was lacking - now hiking and city walking are enjoyable. With my Orthotic Solutions insoles, every pair of shoes I buy are custom fit to my foot and it's fabulous. THANK YOU SPENCER!! Spencer is compassionate and very professional. He cares about the comfort of his clients and provides good suggestions for foot problems. Wish I found this man years ago he would a saved me a lot of money on orthotics. I spend thousand of dollars on several orthotics that never helped me. Spencer hands down is the Michael Jordan of orthotics I wouldn't go any where else. He has changed my life and now i am enjoying life pain free. If you enjoy being active, if you're into sports like in-line skating, snowboarding, skiing, soccer, tennis or any one of a number of physical activities (including just plain hanging out), then you really should be using our products. And if convenience is what you are looking for, we’re located right by Columbus Circle in the heart of New York City. (and there is no charge for your initial evaluation).